Located in one of the peaceful locales in Malvan less than 5 minutes drive away from the famous Tarkarli beach,This Home Stay is an ideal place to arrange your stay during your holiday in Malvan, if you are looking for ward to a family vacation near the beautiful beaches of Tarkarli. Unlike staying at any other place,this Home Stay offers an economic option for you and your family to stay together in a cottage with a home away from home feel. 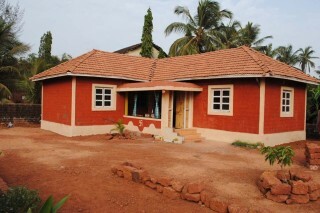 This Home Stay offers accommodation near Tarkarli in a cottage with four spacious bedrooms; two of which are equipped with attached toilets, and a hall. A kitchen can also be made available on prior request from the guests. 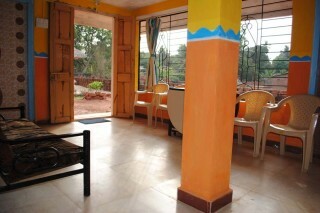 There is ample parking space also within the campus of the homestay. Travel assistance. Car rental can be arranged. Pick up and drop off can be provided. The nearest railway station is at Kudal/Kankawali. Overnight trains depart daily Mumbai for Kudal. 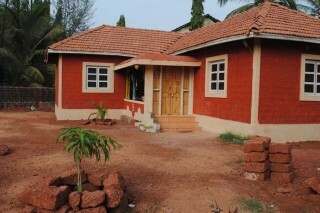 The nearest airport is at Dabolim in Goa which is 130kms from Malvan.